Listing courtesy of HRS Realty. Location, Luxury, and Life being lived! This sprawling CWE home has mouth watering amenities, nearly 6k square feet in the main estate and approximately 900sf in the carriage house. This home is where tradition meets contemporary, beautiful original hardwood floors, updated kitchen w granite counter tops, mosaic back splash, spacious spa like master bath w custom cabinetry and a wall of windows, spacious closets, a cozy parlor, enchanting yard, large covered porch, did I mention the carriage house has a roof top deck that invites one to relax after a hard days work. You can exit your rear gate and your a stones throw away from the heart of Central Westend, shops, restaurants, grocer, historic Forest Park. I could go on forever, this is a fun and unique property, that allows you to get 2 homes for the price of one! 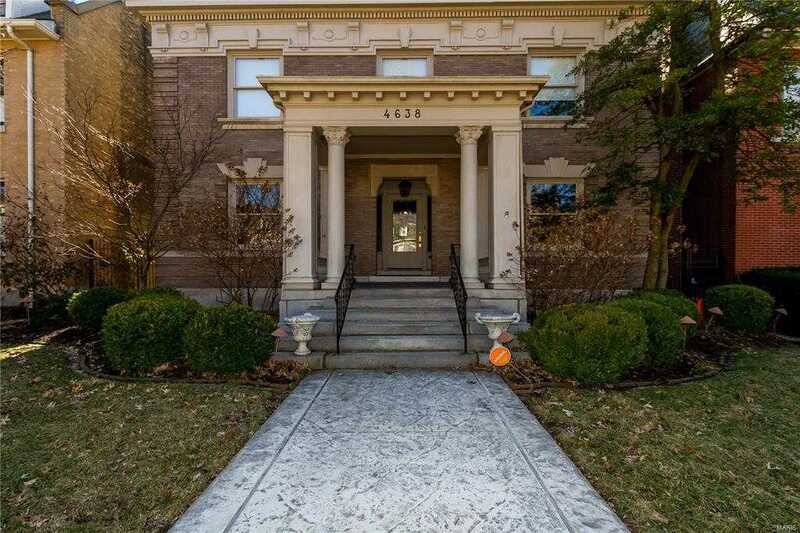 Please, send me more information on this property: MLS# 19019768 – $1,370,500 – 4638 Pershing Place, St Louis, MO 63108. I would like to schedule a private showing for this property: MLS# 19019768 – $1,370,500 – 4638 Pershing Place, St Louis, MO 63108.